2018 marked the 70th anniversary of the UN Declaration of Human Rights amid a time of crisis for global democracy. It is imperative that we revisit the history of the modern Human Rights movement and reexamine the relationship between the Holocaust, the legal framework of Human Rights, and the struggle to find justice on the global scale. In this talk, James Loeffler draws on his new book, Rooted Cosmopolitans: Jews and Human Rights in the Twentieth Century, to revisit the 1948 moment in which modern human rights was born. 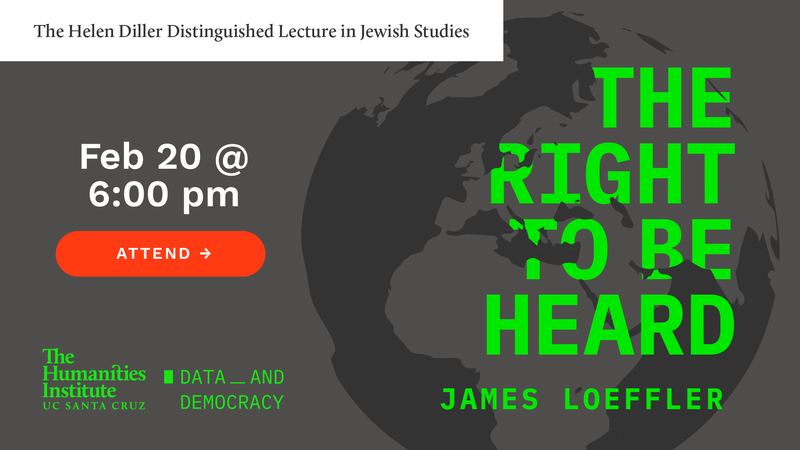 This talk will also address the challenges and opportunities for minorities and stateless peoples by focusing on Jewish human rights pioneers who saw the Jewish state as an expression of global democracy. Join THI to ask where Human Rights come from, how Jews are part of the story, and if Zionism is in conflict with the modern Human Rights movement? RSVP appreciated, seating is first come, first served. Reception to follow. If you have disability-related needs, please contact thi@ucsc.edu or call 831-459-1274 by February 16th. James Loeffler is Jay Berkowitz Professor of Jewish History at the University of Virginia in Charlottesville. Between 2013 and 2015 he was a Mellon Foundation New Directions Fellow in International Law and Dean’s Visiting Scholar at the Georgetown University Law Center. 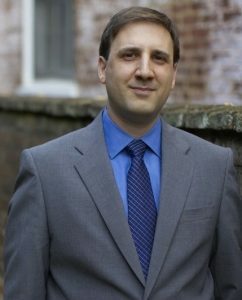 At UVa he teaches courses in Jewish and European history, Russian and East European history, international legal history, and the history of human rights. This event is part of the THI Data and Democracy Initiative, a project of Expanding Humanities, funded by the Andrew W. Mellon Foundation. Every year, we honor Helen Diller, whose generous endowment continues to provide crucial support to Jewish Studies at UC Santa Cruz, by hosting a public lecture on campus by an internationally recognized scholar.